Oh, I just want to dive in and try them all on! I am a bit of a coat person too, but our window for wearing really warm coats is very small, here on the west coast. 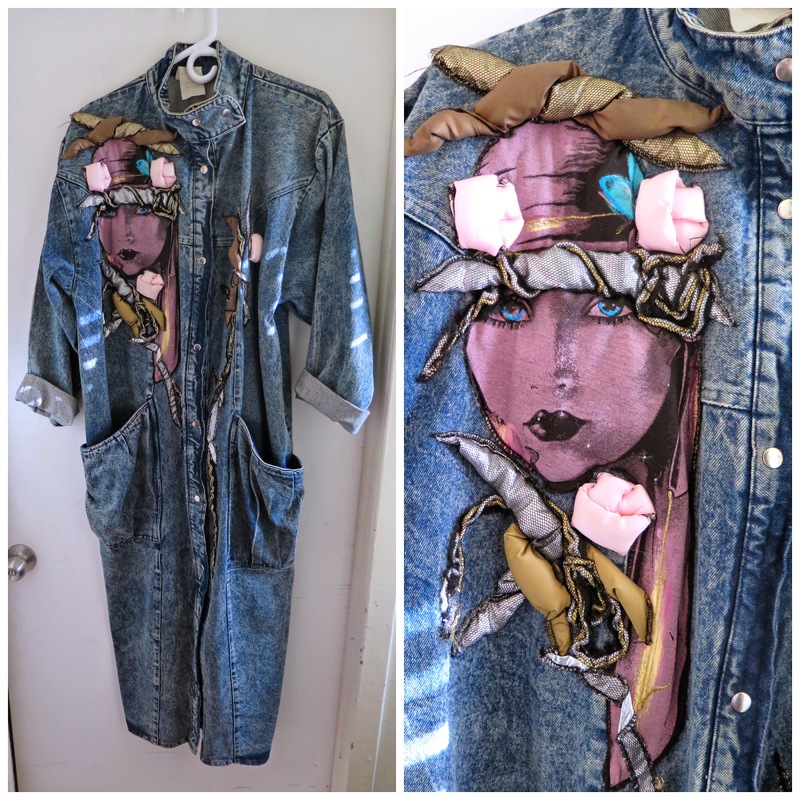 I adore that pink suede Danier coat and that 80s-o-rama piece of art! But that sheared Persian lamb just takes my breath away! Fabulous! No, you don't need an intervention! You need more closet space! What an amazing selection! That denim one just screams 1980s excess, fantastic! 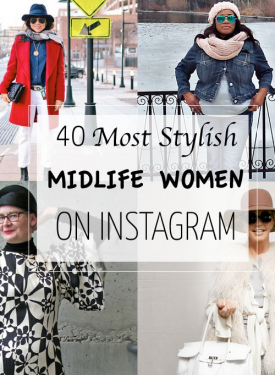 Congrats on your feature on 40+Style! I also have a "coat closet" that is bursting at the seams like yours. I agree that when you have to wear them all the time it is great to have a choice. That 80's one is insane. um, yes. I can't used the "I live someplace cold" reason. A coat obsession you say? We could start a therapy group, you and I, by heading out thrifting to buy more and MORE! One can never have too many coats - that's what door handles and protruding things in the wall are for: hanging more coats. I love your selection, Shelley!!! No apologies. Without colour and warmth in the winter we are little more than shivering shore fish. 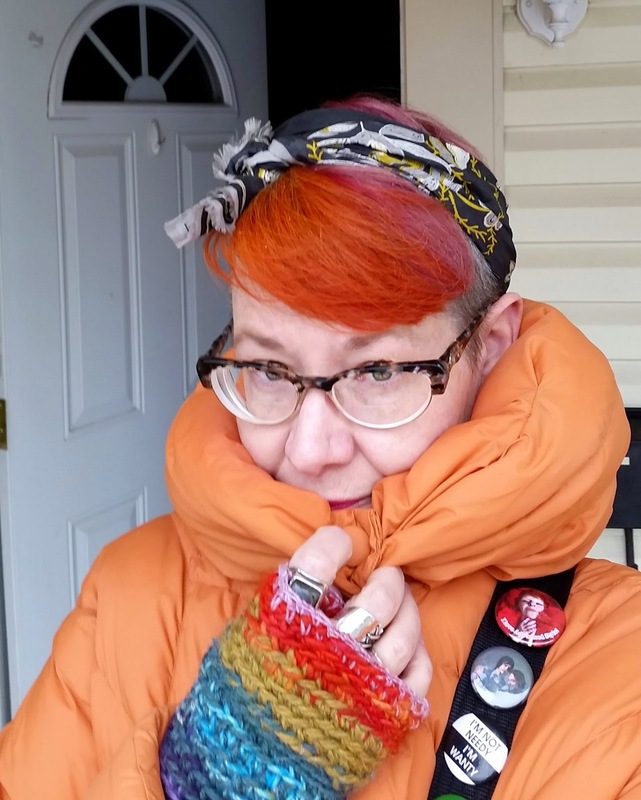 No, you certainly are not alone - I have more coats than is strictly necessary, but we have similarly hard winters so a decent selection of outerwear is definitely A Good Thing! 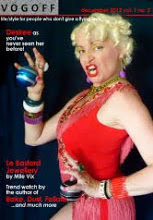 mmm, your collection is really covetable!! 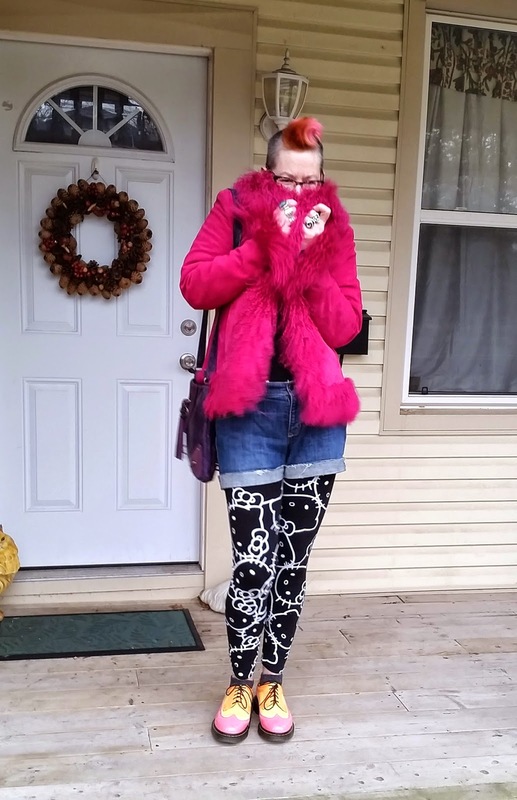 Obviously, you need variety and color and fun to warm up long winters!. Your pink puf coat is amazing, love your fuchsia suede jacket and particularly that new 'phantasy on denim' piece you purchased, it's funky!!! Actually, I own too many coats for our short winters (a merely six months 'coats season'), but really, I wear them a lot. Really. 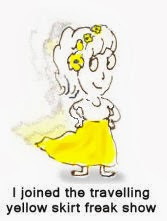 Weeeell, my very first post http://naturalmedley.blogspot.com.au/2014/03/one-for-every-day.html was about just this topic! I try so hard to limit them, but when they are just crying to jump of the shelf and into your arms, what can a person do?! Yours are ALL wonderful. I can't name a favourite! And your leggings and shorts outfit could find a home in my closet any day!!! I'm slowly building my coat collection now that I actually need them. That Asian one is really cool! I just want to run my hand along that fabulous collection of coats and feel all those gorgeous textures! Every one a beauty! Your fuschia suede jacket outfit is especially amazing! Oh, YES, since you asked. My name is Valerie and I'm a coataholic. 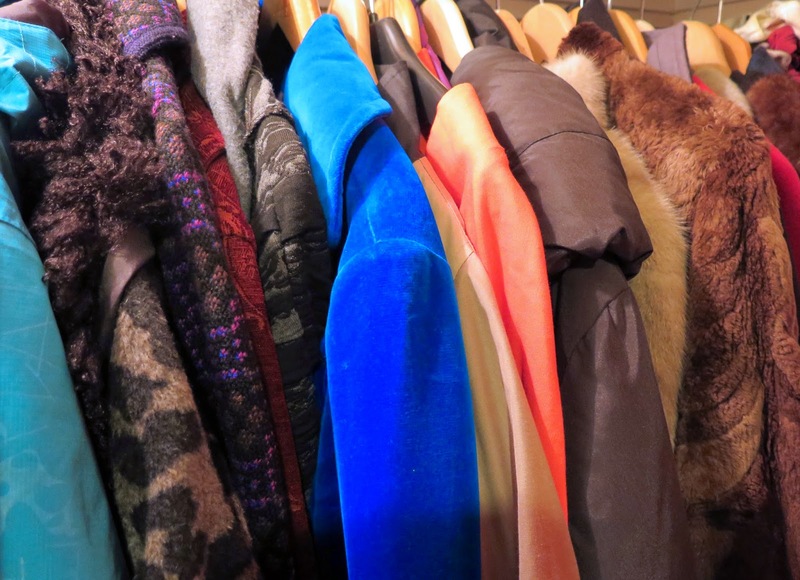 We have the phrase coat closet, and that's what I have - a closet devoted to coats. I would never have guessed in my youth that that would happen. I was not raised that way. One had A coat, for winter, and that lasted until one grew out of it or wore it to death. No one in my sphere of non-influence ever questioned this. I kind of got into the habit of rescuing undervalued coats. Long, short, heavy, light, open weave, tight weave - as long as I liked them, I had to rescue them from possible unappreciative buyers. My mother would have understood the impulse, but undoubtedly she would have found buying extra coats because they're appealing as incomprehensible as buying extra cars because they're appealing. At one time, all my coats got good wear, but as NY's weather has changed and we seem to go from winter to summer in one week, my spring coats are getting no use. Time to deaccession? Easier said than done. What if the weather changes back? Then I'll have to buy new ones! 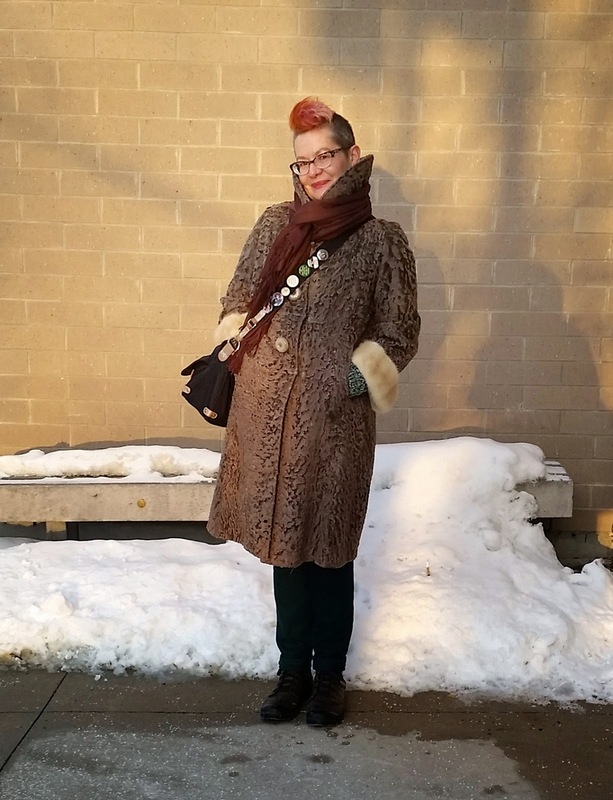 The 1950 mouton coat is heavy now and hard to wear as I age, but it's ombre'd, and I love looking at it. So I empathize and sympathize with coat hoarders everywhere. The Asian jacket is Japanese. On this particular computer screen now I don't know how to magnify the size, so I can't read the tag, but I can tell the lettering is Japanese. I love your love of coats. Especially the new lam one, although it turns up brown on my computer. Coat hoarders of the world unite, your collection is just wonderful and at least you have the weather to make the most of them. I am Australian but fortunately live in Tasmania, considered the coldest state so at least most Winters some have an outing.Keep collection you look amazing in each one. I too have a thing for coats and am very impressed with your collection. It must be growing up in those Minnesota winters, and like you, needed to protect myself from the bitter cold. 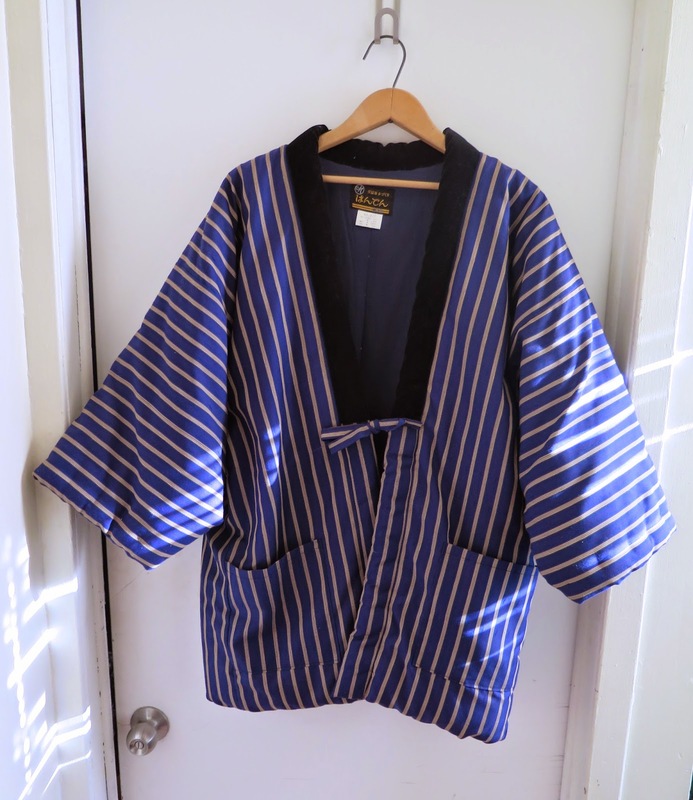 I am swooning over your vintage beauty!